This week I am preaching the second part of the two-part sermon, "The Worst First Sermon Ever"--focusing on the first part of Luke chapter 4. 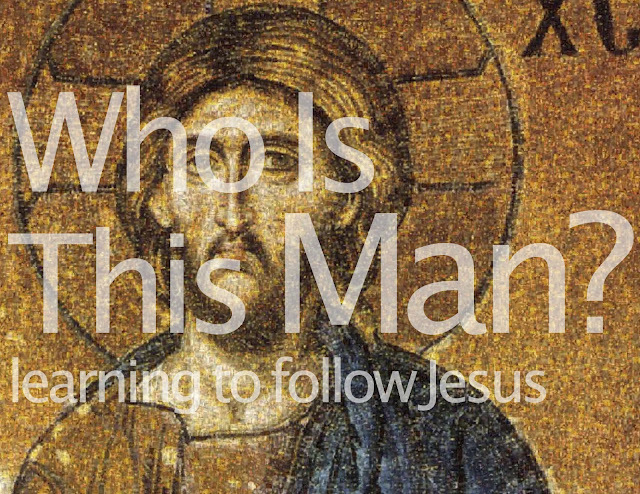 Last week we heard the sermon that Jesus preached and learned about a surprising twist that he included in order to teach about the expansive grace of God. Then he said a few more things that didn't sit too well with everyone gathered. Then it got real. The people who were listening turned from being pleased to filled with rage, and then these people, who had known Jesus his whole life, tried to kill him. 21 He began by saying to them, “Today this scripture is fulfilled in your hearing.” 22 All spoke well of him and were amazed at the gracious words that came from his lips. “Isn’t this Joseph’s son?” they asked. 23 Jesus said to them, “Surely you will quote this proverb to me: ‘Physician, heal yourself!’ And you will tell me, ‘Do here in your hometown what we have heard that you did in Capernaum.’” 24 “Truly I tell you,” he continued, “no prophet is accepted in his hometown. 25 I assure you that there were many widows in Israel in Elijah’s time, when the sky was shut for three and a half years and there was a severe famine throughout the land. 26 Yet Elijah was not sent to any of them, but to a widow in Zarephath in the region of Sidon. 27 And there were many in Israel with leprosy[a] in the time of Elisha the prophet, yet not one of them was cleansed—only Naaman the Syrian.” 28 All the people in the synagogue were furious when they heard this. 29 They got up, drove him out of the town, and took him to the brow of the hill on which the town was built, in order to throw him off the cliff. 30 But he walked right through the crowd and went on his way. Things happen pretty fast in this little story. Jesus preaches about God's grace and redemption---his expansive love. Then everyone in the synagogue sort of golf claps. "Well done, Jesus." "Did you hear that?" "Of course, I thought it was brilliant---grace and all that." "I always knew there was something special about that boy---I said so on more than one occasion, if you recall." The text says that "all spoke well of him," and were "amazed at the gracious words that came from his lips." But Jesus had this way of really screwing up potentially lucrative moments. He goes on to essentially say that the blessings of God, the grace of God, the redemption of God, the incredible spectacle of the miraculous power of God was not something that the hometown crowd was going to experience. This obviously completely ticked off the hometown crowd. They go from being all warm and fuzzy to "filled with rage." Then they drive Jesus out of the synagogue and out of the city to the top of a hill. When the text says "drive" what it means is kicked, pummeled, pulled, dragged, forced... you get the picture. And the hill was fairly far out of the city limits. I've stood on it. In fact, here is a picture that I took from the top of the hill, looking down at the view that Jesus may have had when the crowd was angling to push him off of the edge. Except for the highway, of course. So why did they get so ticked off? Even though Jesus' words were pretty pointed and hard to hear, they don't seem to our ears to be all that rage-inducing. Although that sounds a tad sanctimonious coming from a culture of people who experience troad-rage because other drivers have the gall to drive on our highways. This Sunday is the Super Bowl. It's a national holiday. You and I both know this. I don't want to use this space to wax eloquent about the consumerism and idolatry that is inherent in the glorification of these sorts of sporting events. Because I know that if my team was playing in the big game, I'd be glossing over all of that stuff like the biggest hypocrite in the world. But my team is not playing in the big game---hence the bitterness that you by now are beginning to detect in my tone. You see, I am a lifelong Denver Broncos fan. The Denver Broncos should be playing in the Super Bowl, of this I am certain. But due to a monumental collapse in the playoffs---they are not. First, this is a team that was conceived in deception and betrayal. The Ravens used to be the Cleveland Browns until the owner of the Browns decided that Cleveland wasn't worth it. And Baltimore gave him lots of money to move the team there. Meh. You can bet your buns that Cleveland Browns fans are even more bitter over this than me. The second reason is: Ray Lewis. Ray Lewis is the all star and future hall of fame linebacker for the Ravens, who is playing in his last football game on Sunday. Lewis is retiring after the Super Bowl, win or lose. In 1998, when my Denver Broncos last played in (and won) the Super Bowl, Ray Lewis was involved in the deaths of two men after partying with a group of his friends in Miami, where the game was being played. Lewis was not playing in the game, but like a lot of NFL players had tickets to the game, and happened to be from Miami. The two men were stabbed to death by members of Lewis' group, and it's certain that Lewis was present. A cover-up ensued, which has never been resolved. I'm not stating anything that can't be found on the Internet. I think I threw up in my mouth a little just watching this video. Recently, Lewis has taken to wearing t-shirts with Bible verses on them lately. His pre-game and post game interviews are filled with references to God, thanks and praise to Jesus, you name it. This has done little to dissuade me that Ray Lewis is someone worthy of admiration. In fact, I have found myself thinking even less of him than I did before, which I didn't think was possible. I don't believe Ray Lewis being in the Super Bowl in his retirement year is a "feel good story"
I have come to believe that Ray Lewis is not deserving of grace. I don't really want him to receive grace. There is a story that we tell ourselves about the people who are "other"----the "edge people" who are on the edge of forgiveness, the edge of our ideas of who is worthy and who isn't, and who don't really deserve grace. Every single one of us has one or more of these stories about people who we think are beyond redemption---or at least should be in our own estimation. When Jesus was preaching to the crowd in the synagogue he started off by quoting Isaiah, and proclaiming that a new Year of Jubilee was in effect. Debts were going to paid, slaves were going to be freed, and redemption was happening for God's people. It made everyone golf clap. Because they already believed this was going to happen---supposed to happen. After all, they were the insiders, the chosen people. But then Jesus begins telling stories from Israel's history---stories about moments when God sent his prophets to minister to people who were so far outside of grace that it wasn't even funny. In 1 Kings chapter 17 we hear the story of the widow of Zaraphath, who was visited by Elijah and delivered by a miracle. During a time of area-wide famine, she was gathering sticks to make a fire, bake some bread for her and her son and then she expected to starve after this. God performed a miracle through Elijah, however, and made her flour and oil stay plentiful. She was a pagan, who worshipped multiple gods. She was part of a group who were ancient enemies of Israel, and definitely not part of God's covenant. And God showed her grace and saved her. In 2 Kings 5 we read the story of how Namaan the Syrian was healed of his leprosy by God through the prophet Elisha. Namaan was the major military leader for the king of Syria and had been personally responsible for killing Hebrew people, dominating them in battle and enslaving many of them. So, you can tell how outside of the covenant of grace this guy was. And God showed him grace and saved him. Jesus throws out this stories that would have been so familiar to the people he was teaching, and he sort of leaves things open ended so they can get the point. In fact he starts his whole teaching by saying that it is "true," using the word Alethia, which means "The Truth" or "Unveiled Reality." In other words, he was saying, "I am about to tell you how things really are." Here's a question for us... Do we really believe that God's love is for all? How open are we to this---really? The people who got so angry at Jesus did not "take offense so much with what Jesus claims about himself, as with the claims that he makes about a God who is more than their own tribal deity." You could make the argument that this anger and hatred toward Jesus and his teaching was what ultimately drove the religious elites to want him dead. Instead of asking, "What must we do to be saved?" They rested in their certainty and tried to silence the one who confronted them with unveiled reality. Why is that we attach a "Yeah, but..." to the phrase "God is love?" Isn't it up to God who God redeems? Isn't it God's business who embraces the good news that Jesus is Lord and is the Way, the Truth and the Life? While we often give lip service to this idea, we don't really want to lift it up as something true and real. What we would rather do instead is pick and choose who is worthy and who isn't. Who do you believe is beyond redemption? Who is "the other" in your life? Who is the person or persons that you believe---or want to believe---don't deserve grace and forgiveness? A spouse that violated your marriage vows, betrayed you and left you. That personality on television who says those things you don't agree with. The nameless angry group of people who live in that Middle Eastern country and practice that strange religion. The football player you think doesn't deserve admiration. And here's an even more pointed question. Do you feel you aren't really worth God's grace and forgiveness? Maybe the story that you've told about yourself all of these years is that you really are undeserving of redemption---that God couldn't possibly love you enough to save you. And when we give our list of reasons why some people just don't appear to be deserving of the expansive grace of God, what we aren't saying is that we know we aren't either. May we hear these hard and difficult words of Jesus as the people in the crowd. May we see the ways that we try to act as God with our ideas of grace and forgiveness? May we look deep into our hearts and ask the Savior this all too important question, "What must we do to be saved?" And may we know grace, and peace, and the hope of Christ.